The Studio visualization simulates a studio lightning with infinite background for small, medium and large objects. Barcelona Pavillion: designed by Ludwig Mies van der Rohe, it's an important building in the history of modern architecture, known for its simple form and its spectacular use of extravagant materials, such as marble, red onyx and travertine. A highly interactive archviz scene in a beautiful scandinavian style house. There are a lot of details like a hanging umbrella, a moose sculpture on the wall and small artistic adornments. If I were to build a house for sure this would be one of the main inspirations: a house with modern design, a fantastic portico, pool and deck, excellent garage, a pool view kitchen and a beautiful living room. A great example for both internal and external lightning setup. Meet and experience a typical kitchen of the interior of Minas Gerais, one of the main states in Brazil. This kitchen has many typical elements of the interior as the wood stove, the clay filter and other decorative pieces. With the Oculus Rift you can practically feel the fire from the stove. Walk around this beautiful apartment themed in Vienna and projected by destilat Design Studio. You can hear your steps, turn on the shower, lights, sauna and fill the bathtub. It comes with a lot of furniture, assets and examples of realistic lightning setup. 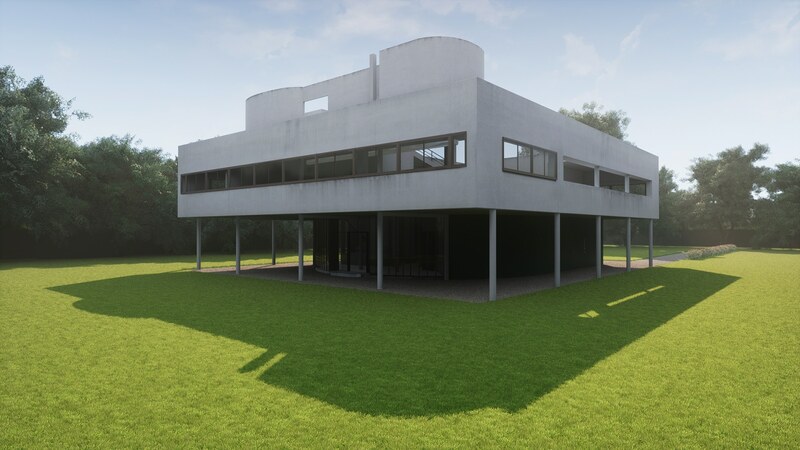 Villa Savoye is a mark of architecture created by Le Corbusier. The UE4 project is an example of external archviz with camera rotation + zoom. The project includes vegetation and a sun position change blueprint to view the building at different times of day. A simple and minimalist loft with nice wood floor and materials. A nice gondola ride on a 3D created Venezia made on Unreal Engine 4. A large and modern kitchen with simple design and nice materials. This is our first project with Unreal Engine 4 and showed all the possibilities of real-time rendering for Archviz. It's a Loft with modern decoration and nice interactions. A pack with highly detailed 3D beds and bed tables made for Unreal Engine 4.18. Textures in 4K. Complete projects updated to 4.18!